Waiting for that one week in a year when you can escape from the monotonous routine and take a break? Why not enjoy that scene every day? Transform your one week of pleasure into a year-round lifestyle of relaxation, available at your doorsteps. With resort-style living available just out your back door, you may lose your desire for exotic vacations. 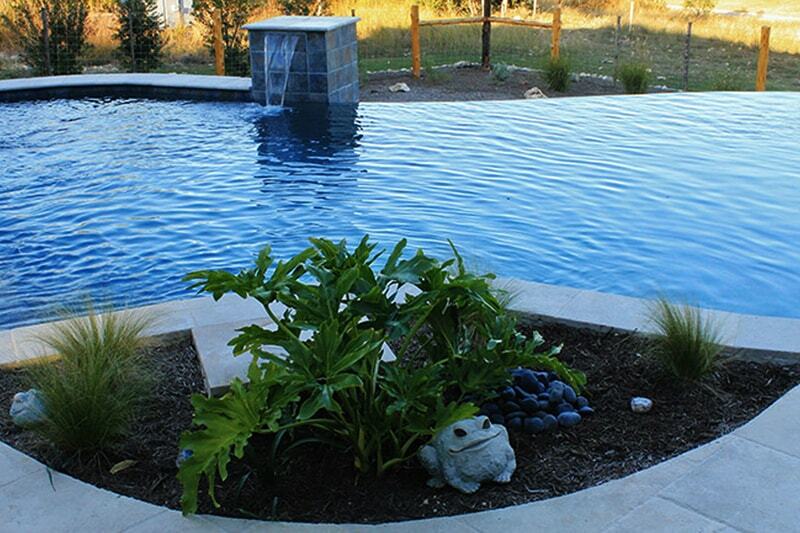 When designing your dream pool, think beyond just the water-filled hole in the ground. Think about the tile work, the lighting, the water features, landscaping, gardening, outdoor kitchen… there are so many features you can add to your pool. Enhance your pool experience with lighting and create a backyard ambiance that is outstandingly for you. Pool lights give your pool a fascinating new dimension. The sound of gently bubbling water and the shade from a large tree provides the perfect spot to relax.Water feature gives your pool a focal point, creates & enhances the ambiance. A fireplace is one of the more traditional fire features that can stand alone or complement the pool area. By providing light, warmth, and unity, a fireplace transforms an ordinary outdoor space into one that’s cozy and inviting. Eating outside is nice, but you can really bring your family together by making meal prep an outdoor experience. An outdoor kitchen is a dream come true for an experienced chef and will make your house the #1 destination for backyard parties.